Perth are seven points on top of the A-League after a 2-1 defeat of Melbourne Victory at AAMI Park. Kosta Barbarouses' late effort made no difference to the outcome and, with nine matches to play, Perth are within sight of their first piece of A-League silverware. "For us, it was just another challenge, another important match that we could still show our consistency, show our quality and show that we don't have fear. Victory and the Glory came into the match as the league's top scorers - but without their best strikers - and both laboured to halftime without clear-cut chances. 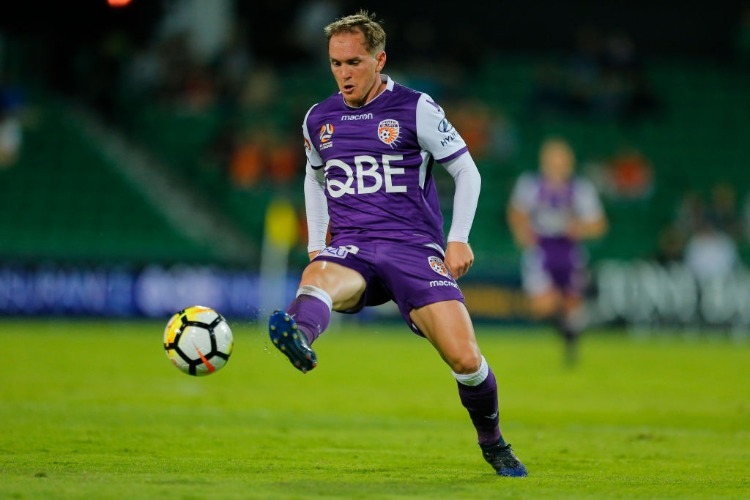 The Glory's Andy Keogh was also on the bench, but for tactical reasons as Popovic opted for a top two of Joel Chianese and Chris Ikonomidis. While they didn't have their stars, Victory were organised and determined, keeping the Glory at bay. Perth's breakthrough came from an unlikely source: midfielder Kilkenny. The 33-year-old had the smarts to flick a ball towards Corey Brown's outstretched hand in the box for a penalty. "That decision helped them ... Corey's only a metre away and I've watched the replay - Corey hasn't moved his hand," he said. Some consolation for Victory arrived on 78 minutes when Leigh Broxham played in Barbarouses to score - the first time Perth's defence had been breached in five matches.